Not sure which glove is right for you? We're here to help. Use the following information to help choose the right glove for you. The main reason you wear gloves is to keep you and your patients or laboratory specimens and equipment safe and clean. Choose the glove that fits you best for the best protection. A snug (but not too snug!) fit will be most comfortable and protect you the most. When working in a high-risk environment where you may be in contact with blood borne pathogens or hazardous substances, wear good quality latex, nitrile or polyurethane exam gloves. Vinyl exam gloves can be used in non-high risk applications. Our exam gloves should fit you well and feel comfortable. Latex gloves, due to its high level of elasticity and memory, fit the user hands very well. 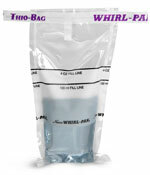 Nitrile gloves vary in softness and flexibility. Some are comfortable and fit well, whereas some are stiff and not flexible. Polyurethane gloves are soft, flexible and exert virtually no strain on the user hands. Vinyl gloves are usually baggy in fit, but are soft and comfortable. Do you or your coworkers have latex allergies? Perhaps you work in a latex free environment. Latex allergies have become a concern in many industries, particularly in healthcare. If you are sensitive to latex, avoid all latex products altogether and use only non-latex exam gloves, such as polyurethane, nitrile and vinyl. If you choose to use latex gloves, you should only use powder free latex gloves with reduced protein content.